This is an informal gathering for family and friends. May be made to his wife, Debra Corby to help with expenses. You may mail cards and donations c/o Life Story Funeral Home, 752 Munson Ave., Traverse City, Michigan 49686. 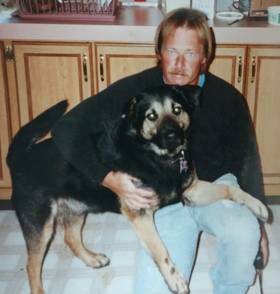 Gerald William Corby, 60, of Traverse City, passed away Tuesday December 13, 2016 at his home surrounded by his loving family. He was born October 8, 1956 in Berkley to the late Frances and Bernice Corby. Gerald loved hunting, fishing and snowmobiling. He was a family man who adored his grandchildren. Spending time with them gave him strength, along with his beloved dog Max, who was loyal to the end. Gerald enjoyed watching football. He was an avid softball and baseball player. His most prized memory was having 7 Corby's on the field at one time. Gerald took pride in installing fences, was very proud of his work and liked to show it off to others. He is survived by his wife Debra; daughter, Michelle (Nathan) Corby; son, Michael (Rebecca) Corby; brothers, Thomas (Cindy) Corby and William Corby; grandchildren, Alexys Corby, Dorian Ronk, Ethan Corby, Peyton Corby, Tyler Boyd and many nieces and nephews. Gerald was preceded in death by his parents Frances and Bernice Corby and nephew Steven Corby. Memorial contributions can be made to his wife Debra to help with expenses. Please visit www.lifestorytc.com to sign the guestbook and share thoughts and memories with the family. The family has chosen Life Story Funeral Home, Traverse City.